Submit your job for all the qualified Refrigeration across Westmeath in the above form. We'll send you replies from all the available Refrigeration for your job across Westmeath - Simply compare & hire your favorite one! Call it Peace of Mind! We ensure every Refrigeration Pro is Qualified. You can also view genuine ratings for every Refrigeration Pro on our service from Home Owners in Westmeath to help you decide! Once you submit your job for a Refrigeration in Westmeath you'll get replies back from all available Refrigeration near Westmeath - along with start dates to help you plan your life! 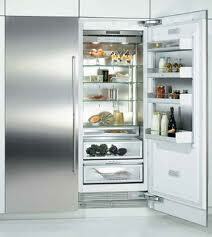 Are You a Qualified Refrigeration in Westmeath?